Extremely courageous ruck-rover or centreman recruited from East Wagga, Smith was known as the “Bionic Man” for his ability to ignore injuries. 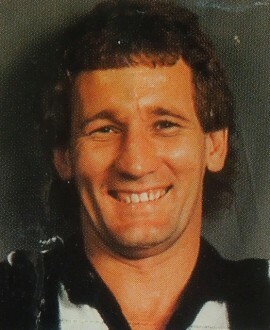 He later captained South Australian club Central District. A Victorian representative.